When it comes to choosing an ERP, chances are you will be overwhelmed by a number of options available on the market. More and more, businesses are moving to the cloud for many reasons. From wanting to stay competitive and providing remote data accessibility for staff to increased customer satisfaction and lower infrastructure costs. Among the number of cloud-based options, two that may be familiar with growing businesses are SAP Business One Cloud and NetSuite. #1. A comprehensive and stable solution for your growing business. SAP Business One is a single comprehensive best-of-breed solution that can run your entire business. Just the core foundation includes full financials, operations, CRM, warehousing, inventory, payroll, purchasing and more, backed by SAP, a top ERP publisher for the last four decades. NetSuite utilises hundreds of add-on’s that were part of acquisitions. Many of the parts were written and supported by 3rd parties, and developed using different design standards. #2. Secure data availability, storage and system integrity at all times. As of November 2015, NetSuite has only three data centres in operations, two of which are in the US and just recently, one in Ireland. Their lack of data centres outside of the US means that, all NetSuite customers, regardless of which country they are in, are subject to regulations introduced by the Patriot Act. This allows US Government agencies to access data hosted in the US, even non-US based customers. On the other hand, SAP Business One Cloud powered by Amazon Web Services (AWS) is a certified solution that is supported by multiple cloud facilities around the world. This not only reflects the global nature of SAP and Amazon’s operations, but also the number of access points that growing businesses can take advantage of when expanding their business to different geographical regions. To find out more about how AWS safeguards your data to prevent information loss and ensure data security, read our security spotlight. #3. Only pay for what you need. Contrary to popular misconception, SAP Business One Cloud is not a scaled-down version of the larger SAP products. SAP Business One Cloud is designed specifically for small and midsize companies to be affordable and expand to your company needs as you continue to grow. SAP Business offers a simple pricing model that provides a complete business management core for each license. With SAP Business One Cloud, it’s a one-off license fee for the entire package. It’s a license based on the type of role you have in your business and the level of access you need. For example, an accountant may need more comprehensive access vs a sales person and license fees are priced accordingly. Whereas NetSuite charges the full price for all roles. One area that often leaves NetSuite customers in the dark is NetSuite’s pricing structure. While NetSuite has a low-entry fee, it’s a subscription service – so it can be difficult to anticipate your total costs, especially as subscription rates can alter at any time. #4. Your business won’t be relying on a fly-by-night solution. While NetSuite has benefited from the SaaS movement, the problem is, the company has not generated any profits since the company first started in 1998. In fact, according to Seeking Alpha, they suggest to avoid investing in NetSuite due to the company’s inability to generate profits. Conversely, SAP Business One Cloud was developed by SAP, a reliable and stable software vendor that is consistently profitable and continually invests in the latest innovation and development. This means that your business can grow with SAP Business One for years, or, for generations. In fact, SAP Business One Cloud has experienced 20% year-on-year growth and SAP’s global market coverage is three times more than NetSuite, read here. #5. Customers prefer the SAP Business Mobile app vs. the Netsuite Mobile app. NetSuite’s mobile capabilities tend to be limited in nature. Although both applications are free of charge, Netsuite app users complain of frequent crashes, no dashboard and missing key features. On the other hand, accessing SAP Business One Cloud'’s full functionality on the mobile app is known to extend the system seamlessly, be easy to use and can be relied on. #6. Flexible hosting model to meet your growing business needs. NetSuite does not have an on-premise offering if you prefer to host and store your data within your own walls. With SAP Business One, you can choose to have your ERP deployed through the cloud, on-premise or a combination of both, depending on your needs. Some customers choose to start on-premise, then decide to migrate to the cloud later on, which you can do seamlessly with SAP Business One. #7. Lower cost of integration with other applications. With SAP Business One Cloud, your sales, invoicing, production, scheduling and shipping data can fully integrate and reconcile with other applications, eliminating any need for manual intervention. Any industry-level requirements are integrated only with SAP-certified solutions. #8. 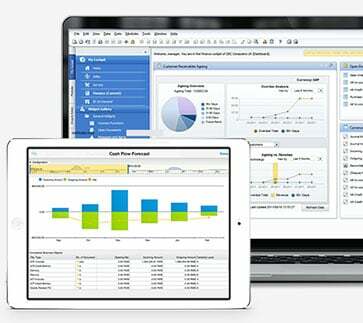 SAP Business One Cloud is more intuitive than NetSuite. NetSuite’s ERP can be difficult to use. Try the customisation tool and you’ll find yourself navigating through a maze. Not only is the tool not user-friendly, it is also limited in function. In comparison, customer feedback indicates that SAP Business One is more intuitive and easy to use. SAP Business One has streamlined screens with less clutter versus NetSuite. In addition, the new Fiori dashboard for SAP Business One provides widgets that you can add or remove exactly to your liking so you only see what you need to and each dashboard is personalised for the individual user. For example, an accountant may choose to immediately see what bills need paying while the CEO can choose to see exactly how his sales team is performing and how much cashflow is available. #9 Better performance with SAP Business One Cloud. In addition to the low number of NetSuite’s global data centres, NetSuite’s performance is inconsistent due to its poor infrastructure. NetSuite users often report frequent downtimes due to poorly configured routers and access points with limited access. 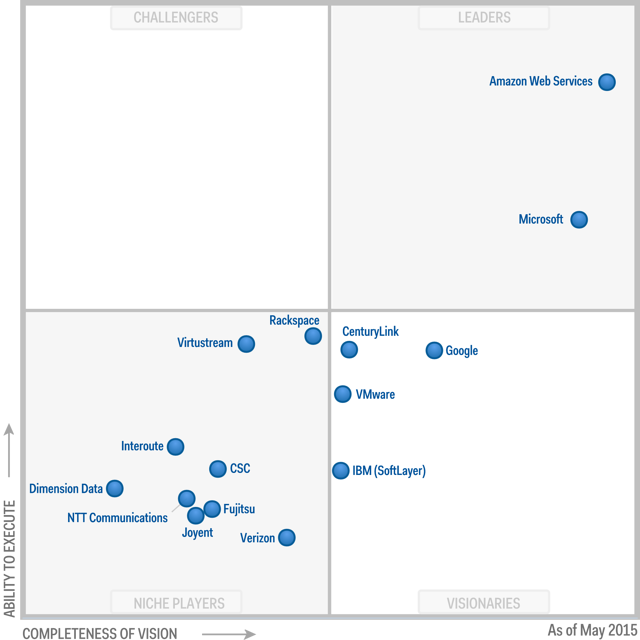 In comparison, Amazon Web Services has been the frontrunner in the cloud computing race for years since its inception in 2006. In 2015, Gartner analysts reported that AWS came in as the market share leader, with more than 10x the cloud IaaS commute capacity in use than the combined total of the 14 other cloud providers. #10 Flexibility to choose when to upgrade your ERP system. NetSuite’s ERP systems are deployed within a multi-tenancy environment and this model can affect version control and system upgrades. When system upgrades are deployed in a multi-tenancy environment, upgrades are deployed simultaneously to all customers at NetSuite’s discretion, not yours. This is not ideal if you have any customization or integration as they risk being incompatible with the new system. Timing could also be a disaster if the upgrade causes problems when you are in the middle of a busy business cycle and you lack the necessary access to solve them. On the other hand, you can choose when to have your SAP Business One Cloud upgrades deployed. Upgrades can be planned in advance so you can avoid any issues from occurring during critical times. SAP Business One Cloud is a proven software solution with more stability and experience in the ERP space over NetSuite. NetSuite has a lower entry point with its subscription-based model, but SAP Business One Cloud has a lower Total Cost of Ownership (TCO). Better cloud performance and flexibility with SAP Business One Cloud vs. NetSuite. All in all, SAP Business One Cloud beats NetSuite and other cloud-based competitors by a long shot due to its affordability, reliability, scalability and performance. Is Your Business' Inventory Picking Strategy Past Its Shelf Life?